When you lose a tooth, you may be tempted to leave it untreated because it is only one; however, this is never a good idea. Every tooth is invaluable to your oral health and functions. If you do not replace it as soon as possible, it will create new complications, like difficulty eating certain foods and a higher risk of additional tooth loss. Not to mention, your self-esteem suffers from your incomplete smile. You do not need to live with the results. Dr. Drew Beaty has the solutions you need for a single tooth replacement in Federal Way. When you lose a tooth, the crown is not the only thing missing. You also lose the root. This causes your jawbone to deteriorate because it is no longer stimulated. Over time, your remaining teeth do not have enough support to stay in place, making them drift toward the open space. This creates alignment and bite issues that increase your risk of tooth decay and gum disease. As more of your bone density is lost, you develop a heightened risk of additional tooth loss and your facial structures also lose support. Fixed Bridge: A bridge and crown is the most traditional solution to replace a tooth. A prosthetic is carefully crafted to match the size, shape, and color of your remaining teeth to create natural-looking results. 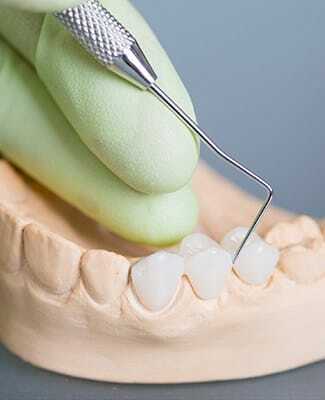 Your adjacent teeth are reshaped to allow custom-made dental crowns to be bonded to them to hold the bridge in place. This option can last for an average of 5 years before needing to be replaced. 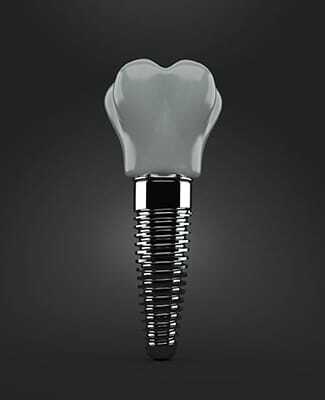 Single Tooth Implant: You can replace both the root and the crown with a dental implant. A titanium implant post is surgically placed into your jawbone to serve as a new root. An abutment is attached to the post to connect an all-ceramic crown. With the right aftercare, your dental implant can last for several decades. Since a dental implant treats the root and the crown, it provides several benefits that are not possible with a traditional fixed bridge. All-ceramic material allows it to look natural. Your jawbone fuses to the post for unmatched stability. Dental implants allow you to enjoy the next best thing to your natural teeth. You will invest in your quality of life and your oral health with a lasting solution; however, they are not right for everyone. Dr. Beaty performs a comprehensive consultation to determine the best treatment for you. Start your journey to a complete smile by replacing your missing tooth. Contact our office today to schedule your consultation.